74 videos of individual PMN member performances! As PMN Artists in Residence, members of the Fruit of Labor Singing Ensemble (Nathanette Mayo, Rick Scott & Angaza Sababu Laughinghouse), will lead the plenary session for the 2017 PMN Winter Gathering. 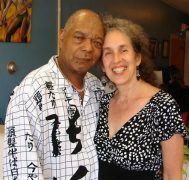 They will present their approach to cultural work as an organizing tool, and explain how their own mentors – Kimako & Amiri Baraka, Sonia Sanchez, Bernice Johnson Reagon, Baba Abner Berry and others – shaped their political and artistic development. FOL is a cultural worker organization and performing group rooted in its commitment to organizing. Over its more than 30 years of existence, FOL has had 22 different members. The FOL are cultural ambassadors and members of the nationally known Black Workers for Justice (BWFJ), founded in North Carolina in 1982. Its mission is “to organize, train, develop and advance the interest of the African American working class and of all workers in workplaces and communities throughout the South in particular, and the U.S. in general”. In the South, African-Americans have been historically denied internationally-recognized human rights because of Jim Crow segregation and racist national oppression and exploitation. The wealthy ruling elite have used “white skin privilege”, white supremacy, and racism to weaken the working class. Consequently, Southern states have long legislatively denied public service sector workers collective bargaining rights that their Northern & Mid-Western counterparts have (at least historically) taken for granted. With few financial resources, FOL has organized regional tours throughout the United States to advance BWFJ’s goal of organizing both communities and social movement unions. With or without collective bargaining rights, these unions have an unstoppable demand for justice. These tours spread FOL’s music and message and develop financial and political support for ongoing efforts to organize Southern workers. Signs suggest the United States as a whole may be becoming increasingly reflective of the reactionary right-wing politics associated with places like North Carolina. This plenary presents the methodology of an organization, which has not only survived in the face of right-wing repression but won many victories despite it. Recruiting members for the performing group who are directly engaged in the community and workplace struggles they sing and write songs about. Promoting a Black working class culture of fellowship, resource sharing, and historical awareness, as well as organizational discipline. Practicing group study of workplace, community and political struggles. Collaborating, sharing and learning with allied local, regional and national cultural workers (e.g., Hayti Heritage Center, Highlander Center, Alternate Roots, Great Labor Arts Exchange, Black Liberation Movement Artists, etc.). Developing a strong network of community, labor and political organizers across the country, based on shared commitment to our common struggle and focused on organizing. Getting a regular job while pursuing a life of cultural work without necessarily expecting to make any living at all – or at least one’s entire living – as a performing artist. Creating and developing community-owned cultural institutions like the Fruit of Labor World Cultural Center and the Abner Berry Library/Workers Center to serve our community and workers with music, art, films, plays, poetry, Hip Hop Shows, history, workshops, youth/community organizing space, archives, library and book store. Come hear the lessons learned by this committed and dynamic group of cultural workers and organizers, and consider how they may apply to your own artistic and political endeavors. In addition to presenting this plenary, FOL will be leading two number of the workshops, performing in the Friday Night Concert, and giving one-on-one mentoring sessions with gathering registrants. The Fruit of Labor has performed at countless rallies, picket lines, marches, concert halls, schools, colleges, workplaces, churches, Junteenth and Kwanzaa celebrations, and radio stations throughout the United States. Their songs and music are rooted in the African American musical tradition, including chants, call and response, spirituals, reggae, jazz, blues, R&B, soul, folk, hip-hop and spoken word. It’s an exciting mix of dancing, energy, and down-in-your-bones “fightback” spirit coming at you! They have received many awards for their work combining music and organizing including the Labor Heritage Foundation Joe Hill award; The Abner Berry Black Self Determination Award; the U.S. Human Rights Network’s Movement Builders Award; and the Retail, Wholesale, and Department Store Union Award for Labor Culture. Find them online at www.fruitoflabor.org. 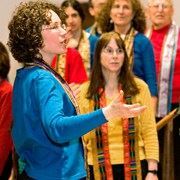 THE FRUIT OF LABOR SINGING ENSEMBLE is the PMN Artist in Residence for the 2017 PMN Winter Gathering. The group was born out of the struggle of organizing African American workers in the “Black Belt” region of North Carolina and the South. More than twenty-two workers, at various times, have participated in this dynamic cultural workers organization. 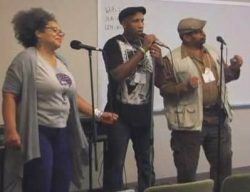 Recruited from workplace and community struggles, members use song to educate about working class history and about the fruitful victories (as well as the bitter setbacks) of oppressed peoples when we organize. THE AMANDLA CHORUS brings powerful international music of justice, celebration, struggle, and peace. In addition to traditional and contemporary songs from around the world, Amandla performs original works by founder and director Eveline MacDougall and draws inspiration from its heroes: Cesar Chavez, Pete Seeger, Nelson Mandela, Archbishop Desmond Tutu, Wally and Juanita Nelson, and Malala Yousafzai. Amandla” means “power” in the South African language of Zulu. 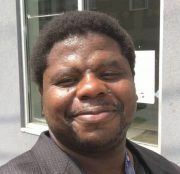 MAURICE “SOULFIGHTER” TAYLOR is a grassroots cultural activist, a DJ, and spoken word artist. He served as a Bernie Sanders delegate. Based in Holyoke, MA, he’s the East coast director of Hip Hop Congress – a non-profit international grassroots organization that evolves hip hop culture by inspiring social action and creativity within the community. 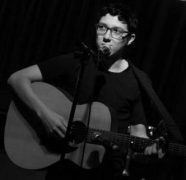 JOSHUA GARCIA is a folk-singer/songwriter whose music and writing style draws from his musical heroes: Woody Guthrie, Bob Dylan, Phil Ochs, and Johnny Cash. Born and raised in Los Angeles, he now lives in Astoria, Queens. A believer in the Power of Song and ‘the album’ as an artistic format, Joshua is in production for his first long-play release slated for Summer 2017. 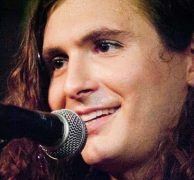 EVAN GREER is a radical genderqueer singer/songwriter,parent, and activist based in Boston. She tours internationally as a performer and speaker, including as part of the recent Rock Against the TPP! concert tour. A campaign director of a viral Internet freedom nonprofit, she writes regularly for The Guardian and Huffington Post. DILSON HERNANDEZ and REN are mentors associated with Urban Art Beat in NYC. 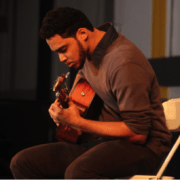 Dilson is a multi-genre artist from the Bronx, incorporating spoken word, various instruments, and singing. Currently a manager at Funkadelic Studios, he plans to graduate from the Institute of Audio Research as a certified audio engineer. Ren is an ARTSY EDUCATOR using poetry, song, and dance to express her creative and teaching nature. GLORIA DE,LAYNE MATLOCK with MICHAEL NIX. Gloria is an educator, dancer, poet, chorus director, and playwright. She grew up singing gospel and spirituals with The Robinson Singers, directed by her mother—songs that had been passed down from her great great grandmother. 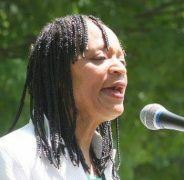 She has presented her workshops using music to heal racism throughout the U.S. and beyond. 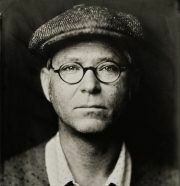 Michael performs on classical guitar, banjar, banjo, and mandolin, throughout the United States and Asia. His five CD’s include recordings for solo Banjar and solo guitar, a duo CD with mandolinist Charles Moser, and two recordings with World Chamber Music trio The Pioneer Consort. MOONLIGHT AND MORNINGSTAR have been singing together for over 20 years. They bring audiences into a world of diverse musical roots, with unique interpretations of Jazz standards, R & B classics, Gospel, Jewish song, Soul, along with their original songs and spoken word collaborations. Their music uplifts and inspires audiences of all ages. LINDSEY WILSON is a singer/songwriter who embraces issues of the heart and mind in her original music. She writes love songs, protest tunes, and lyrics of empowerment. 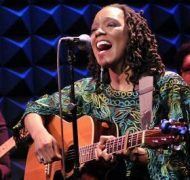 Her influences include Richie Havens, Joni Mitchell, Carole King, and Karen Carpenter, but her message is all her own.